WFMU-FM is a listener-supported, non-commercial radio station broadcasting at 91.1 Mhz FM in Jersey City, NJ, right across the Hudson from lower Manhattan. It is currently the longest running freeform radio station in the United States. The station also broadcasts to the Hudson Valley and Lower Catskills in New York, Western New Jersey and Eastern Pennsylvania via its 90.1 signal at WMFU in Mount Hope, NY. 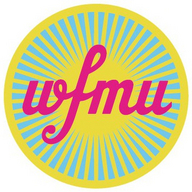 The station maintains an extensive online presence at WFMU.ORG which includes live audio streaming in several formats, over 8 years of audio archives, podcasts and a popular blog. Rolling Stone Magazine, The Village Voice, CMJ and the New York Press have all at one time or another called WFMU “the best radio station in the country” and the station has also been the subject of feature stories in The New York Times and on the BBC. In recent years the station has gained a large international following due its online operations and counts Simpson’s creator Matt Groening, film director Jim Jarmusch and Velvet Underground founder Lou Reed, among others, as devoted fans of the station. WFMU’s programming ranges from flat-out uncategorizable strangeness to rock and roll, experimental music, 78 RPM Records, jazz, psychedelia, hip-hop, electronica, hand-cranked wax cylinders, punk rock, gospel, exotica, R&B, radio improvisation, cooking instructions, classic radio airchecks, found sound, dopey call-in shows, interviews with obscure radio personalities and notable science-world luminaries, spoken word collages, Andrew Lloyd Webber soundtracks in languages other than English as well as Country and western music.